During the last decades tourism has experienced a remarkable expansion, further accompanied by a diversification, which meant its consolidation as a relevant economic sector (World Tourism Organization, 2014). On a global scale tourists increased from 277 million in 1980 to 528 million in 1995 to about 1.1 billion in 2013, with a forecast of 1.8 billion in 2030. In Spain the numbers are equally significant and growing: 48.5 million tourists in 2001, 52.7 million in 2010 and 60.7 million in 2013. Commercial activities have also been developing well during the last years despite the economic crisis. The input in terms of production and employment are fundamental in the European context: they represent 11.1% of the GDP of the European Union, offer about 33 million jobs (almost 15% of total employment) and over 6 million companies act as intermediaries between producers and consumers (European Commission, 2015). In Spain the convergence of formats serves to interpret the economic relevance of the commercial sector (Casares and Martín, 2015). Tourism and trade are two activities with a very important impact on the development of society. Shopping tourism appears in this context. 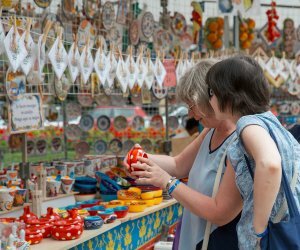 Purchases of tourists have always existed; the practice of acquiring goods, souvenirs, fashion, gifts, tax free products, …, especially on recreative trips, has been common, what can be bought here? Recently shopping tourism has opened new channels of development up to the point of becoming a specific motivation of displacement to certain tourist destinations. In accordance with the previous arguments, the development of shopping tourism is a phenomenon that is increasingly attracting more attention among academics, the business sector and the public decision makers. This article is structured in three parts that seek parallels among these sources of attention. Firstly, within an academic sphere, the article summarizes the main theoretical approaches to shopping tourism that have been developed during the last years. Secondly, the practical symbiosis between tourism and trade is analyzed to highlight the economic potential the two activities show when coordinated. Lastly, the role of the public decision makers in their task of dynamisation of the areas related to shopping tourism is dealt with. Despite the importance of the growth of shopping tourism, investigation in this sphere of knowledge hasn’t advanced in a parallel way (Heung and Cheng, 2000), (Law and Au, 2000), (Moscardo, 2004). Up to now some fields of investigation interested in defining this phenomenon, explaining its causes, effects as well as how to lead and boost it, have been appearing. Advances are limited and often conclude by highlighting the large source of income some destinations possess due to the purchases made by tourists. Tourism demand is driven by different motivations and making purchases appears among them (Rosenbaum and Spears, 2009). Shopping tourism sets itself as an activity that represents a very important part of the income. Going shopping, as a touristic activity, has grown significantly during the last years (WTTC, 2010). Numerous studies confirm that it’s an activity in which tourists frequently participate while traveling (Jansen-Verbeke, 1991), (Timothy and Butler, 1995), (Lehto et al.., 2004). Given the recent evolution of commercial tourism as the main motivation to travel, few solid definitions of this concept exist. Jansen-Verbeke (1991), in a pioneering work on this topic, asked how, where and when the shopping environment can function as a tourist attraction. In this case, she frontally rejected the idea of a shopping destination needing to be a shopping paradise, a simple zone with a specific fiscal regime that serves as a stimulus to have the visitors buy. To the contrary, she proposed the concept of shopping experience as the corner stone of this slope of tourism, therefore including the traditional city shopping areas, the commercial centers localized in the outskirts or even the centers that have been reconverted from previous usage (ports, stations, industrial parks, …). The definition of shopping tourism encloses in a specific way the tourism advanced by people for whom the purchase of goods away from their usual environment is the determining factor in their decision to travel. As Timothy (2005) adds, consumption doesn’t only encompass the products but also the consuming places, spaces and time. Moscardo (2004) adds that if consumption of tourists was traditionally centered on certain goods and services (hotels, restaurants, cultural or entertainment offer), current tourists, who often enjoy a high purchasing power, are consumers of wider products and services. Besides the product (concrete goods, souvenirs, handicraft, tax free products), destination (popular place, commercial centers, thematic areas, festivals, events) and price (reduced, bargains) there are other elements that condition the behaviour of the shopping tourist such as the search for personal memories, authenticity, novelty, boredom or excessive time, desire to buy gifts or altruism. Table 1 summarizes some of the reasons for going shopping on travels mentioned by the Travel Industry Association of America (2001). Source: Travel Industry Association of America (2001). Shopping of tourists is a recreational activity characterized by the ambience, emotion, pleasure and the opportunity to interact with the local vendors (Tosun et al.., 2007); therefore, though shopping functions as a leisure activity they also mean an important opportunity for exposure to the host culture and widening the information about the tourist destination. Choosing a tourist destination that offers you the opportunity to go shopping functions as an additional attraction (Dimanche, 2003), (Moscardo, 2004). Different works have acknowledged that the activity of shopping functions as one of the most important motivations of the travelers (Reisinger and Turner, 2002), (Kim and Littrell, 2001), (Jansen-Verbeke, 1991), (Timothy and Butler, 1995). Tourists have multiple reasons to make purchases including amusement, identity, satisfaction, learning about local customs or getting to know new trends. While trying to delimit shopping tourism investigators have been offering various responses focusing on different elements. As a common point of agreement it’s observed that the purchase behavior of an individual is different when they’re on vacation, meaning that the spending increases, they acquire non-essential articles, buy during unusual days and times (Sundays, holidays, nights, …). In other words, when the same shopping environment is offered to a national and a foreign client it can be expected that the foreign client will demand more articles, spend more money and use different days and hours compared to the national client (Tourists show more commercial activity in their free time). The activity of shopping acquires a notable role among the tourists as it counts with distinct characteristics (Pelechá, 2011). Tourists buy without need and also want to find products with important discounts. Shopping tourism is an extension of the elements of entertainment and amusement that form the center of tourist attraction. Furthermore, tourists have more time and can enjoy it without rigid schedules for buying. Many tourists go to shops with the intention to buy, contrary to a regular consumer who evaluates the offer and makes comparisons with otherr shops. Tourists are on holiday and impulsive spending is higher (tourists have more money than the average buyer). Occasionally foreign tourists seek the advantage of lower sales taxes or of products they can’t find in their place of residence. Traveling on holiday is associated with leisure time away from the usual or routine tasks. In this context, a tourist who goes shopping has a different behavior since they’re in an exciting atmosphere, different from the recurring daily purchases (Timothy and Butler, 1995), (Turner and Reisinger, 2001). The behavior of the shopping tourist responds to a mix of planning and impulse; their behavior differs clearly from a habitual consumer (Meng and Xu, 2012). In market research the motivations of the consumer are often categorized in relation to the typology of purchases (Wagner, 2007): rational y hedonist. In the tourist context, the demand is nearly exclusively based on hedonist motivations such as relaxation, emotions, desire, satisfaction, personal reward, amusement. Jansen-Verbeke (1991) classifies the motivation of purchases of a tourist into three categories. Firstly, economic reasons such as for example taking advantage of a favourable exchange rate, reduced prices or reaching notable discounts through negotiation or bargaining. Secondly, psychological reasons related to identification and the symbology of the destination. Thirdly, social reasons such as for example the strengthening of links. Swanson and Horridge (2006) corroborated that the motivations of tourist purchases are influenced by attributes such as the aesthetic, singularity, location or the services of the sellers. The tourist who goes shopping acts differently from his behavior during his daily acquisitions. The fundamental difference is the separation from the routine since people travel to do things that are different from work. In tourism literature these people have been categorized in accordance with the roles they represent during their vacation period such as adventurer, explorer, passive or escapist (Foo et al.. , 2004). These roles are related to the behavior of the hedonist consumer. Current investigations on tourists who go shopping have identified two categories of travelers based on the theory of motivation: shopping tourist and buyers of tourism. The first category encompasses the tourists whose main reason to travel is shopping, while tourists who have other main reasons to travel but also make purchases as a complementary activity on their trip appear in the second group (Timothy, 2005). The shopping tourists can be categorized according to the factors that influence their behavior. In this sense they can be classified in function of variables such as product, destination and price. The first group travels to make purchases of specific products, luxury items, known brands or souvenirs, meaning differentiated products that satisfy the buyer (Park et al.. , 2009). The second group is attracted by known shopping places, themed shopping, celebrated commercial centers, …, so the destination is the attraction. The third group is motivated by the variable of price, meaning higher prices in their place of origin and lower prices in the destination (price hunters or bargain hunters) (Timothy, 2005). Yu and Littrell (2003) propose two more categories of tourists: engaged y spectators. The engaged tourists immerse themselves in the social and cultural contexts on their visits and are interested in the process of purchasing (they enjoy the relation with the local craftsmen, watching the displays and learning about the cultural and historical significance in the local context). On the other side, the spectator tourists enjoy the activities but don’t reach an interaction with the local community and prefer making product oriented purchases (the put the value on the product and its aesthetic and especially value its functionality). Explorer: motivated and stimulated by shopping and the change of routine by making purchases. Perfect planner: calculating of the situations, seeks enjoyment but without surprises. Brand spotter: interested in and guided by purchases of international brands. Cool hunter: wants to keep up with the latest fashion trends and new products. Deal tracker: seeker of good shopping occasions, attractive prices or bargains. 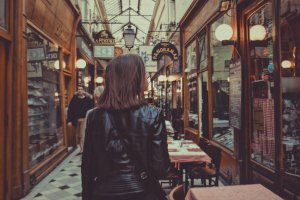 A recent study by ESADE (2014) details the main activities tourists realise on their visits to four big European cities: going shopping is the second most common activity in London, the third in Paris, the fourth in Barcelona and the sixth in Amsterdam. According to information by FAMILITUR, going shopping y looking at store displays is the main activity on interior travels followed by visiting restaurants, family or cultural monuments. Other studies by the World Tourism Organization indicate that approximately half of tourists say that going shopping is the most or second most important activity when choosing a destination. Butler (1991), in a reference work about this topic, interprets the relation between trade and tourism mentioning two different scenarios. In the first case the main purpose of tourist travel is shopping (shopping tourism) while the second interpretation has shopping as a secondary activity during the course of a trip motivated by any other interest (shopping of tourists). 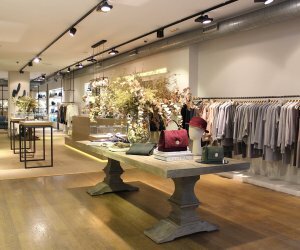 Specialized shops, concrete districts or zones, commercial centers and fixed or periodical markets everywhere in the world have become obligatory places of tourist interest for their special commercial attraction. Table 2 offers a general vision of some shopping options tourists have while traveling. Source: Own elaboration based on Madagán and Rivas (2014). Shopping tourism is no new phenomenon though it has been experiencing a considerable growth recently. Initially limited to certain products (fashion, for example) and cities (Paris, New York, Milan or London) it has broken all pre-established parameters and extended the catalogue of demanded articles as well as of shopping destinations. The spectrum of articles purchased by tourists is wide and includes, besides souvenirs or personal goods, a wide variety of products such as clothing, footwear, jewellery, books, art, electronic articles, tax free goods, … (Turner and Reisinger, 2001). Tourist purchases allow travelers to also take a psychological component home, a proof of the experiences lived, a tangible element that counts with a symbolic significance (Littrell et al.. , 1994). The purchases of tourists often involve the psychological consume since the articles have special values and memories that they wish to keep (Swanson, 2004). 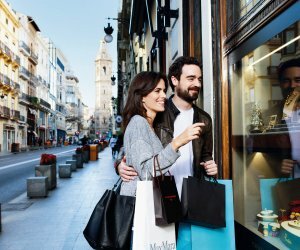 In the case of Spain for example, foreigners buy, in this order, complements and accessories, fashion, jewellery, watches, electronics, perfumes and cosmetics, household, gifts and optics. The UNWTO (2008) proposes International Recommendations for Tourism Statistics, with the possibility of classifying the income according to the main purpose (the commercial motive refers to visitors with shopping as their main objective). Some credit card companies (for example VISA or MASTERCARD) made efforts trying to quantify the purchases their clients make abroad (Hedrick Wong and Choong, 2015). VISA, for example, supervises the tourist spending of the debit and credit cards of its clients and quantifies that almost one third of the total spending is dedicated to making purchases (largest individual category of the spending). The transaction of tax refund on the purchases made by non-residents is another source of information on spending by visitors. In relation to the factors that influence the process of purchases of the tourists The Economist Intelligence Unit (EIU) elaborates the study The Globe Shopper Index which aims to evaluate the cities in function of the attraction they present for the global buyers. Table 3 gathers the qualitative and quantitative indicators used in this study; this methodology helps to illustrate how the election of a shopping destination is affected by many other factors different from the exclusively commercial ones. Source: Adapted from The Globe Shopper Index (2015). Moreover, the work of Magadán and Rivas (2014) proposes a ranking of the ten leading cities using a study diffused by CNN Expansion that values four fundamental attributes of the shopping cities: displacement, value, variety and experiences (see table 4). The result sorts the ten shopping cities in this way: New York, Tokyo, London, Kuala Lumpur, Paris, Hong Kong, Buenos Aires, Vienna, Dubai, Madrid. Source: Adapted from Magadán and Rivas (2014). The public decision makers have been adopting actions favoring shopping tourism with the advance of the activity and the significance the spending by tourist has been achieving. On many occasions the parameters of success of the purchases of tourists appear outside of the public spheres though regulating the commercial activity, providing urban infrastructures, improving transport or the commercial order can contribute to the sales process. Reach the grouping of complementary activities of amusement (shops, restaurants, leisure activities and attractions). Reach good accessibility and parking. Establish pedestrian areas meaning the priority of the buyer over the vehicles. Offer an image of the possibilities of the destination, with certainty. Look for attractiveness in the design and the aesthetics. Offer sufficient and indentifiable information symbolically with the destination. Another work by Pelechá (2011) offers guidelines to energize the commercial areas with a large tourist influx, for example the creation of a tourism coordinator in the zone; facilitating attention and translation in various languages in the assistance centers; establishment of links to the airlines, tourist organizations, hotels and restaurants of the zone; or providing services of planning of visits and information on the website of the city. The ordination of the touristic and commercial activities reaches different slopes. On one side, the public decision makers that have competences in these areas (trade and tourism) that also don’t always agree. On the other side, the companies, associations, professionals, workers, …, that, occasionally, can have heterogeneous interests considering the realisation of their activities (schedule, training, urban infrastructures, hiring systems, …). Lastly, the residents of the commercial and touristic zones are also indirectly affected by the eventual visitor flows. Boosting and energizing shopping tourism requires an intervention coordinated between all parties involved to reach an attractive and dynamic area. Table 5 gathers some actions of public-private cooperation to boost shopping tourism: accessibility, infrastructures, security, attractiveness of the place, marketing and promotion of the destination, value chain of tourism, investigation and analysis, regulation or education and training. Source: Adapted from Magadán on Rivas (2014). Lastly, table 6 summarizes the Shopping Tourism Plan elaborated by the Secretary of State of Tourism and the Secretary of State of trade in the Spanish context (TURESPAÑA, 2014). The objectives and strategies to develop to consolidate this slope of the Tourist and Trade sector appear. Source: Own elaboration with TURESPAÑA (2014). THE GLOBE SHOPPER INDEX (2015): The Globe Shopper Index EUROPE, Disponible en http://globeshopperindex.com/en/Download/european_paper , Consultado el 2 de abril de 2015. TIMOTHY, D. (2005): Shopping Tourism, Retailing and Leisure, Channel View Publications, Buffalo, NY. TURNER, L.W. y REISINGER, Y. (2001): “Shopping satisfaction for domestic tourists”, Journal of Retailing and Consumer Services, Vol. 8, pp. 15-27. WAGNER, T. (2007): “Shopping motivation revised: a means-end chain analytical perspective”, International Journal of Retail & Distribution Management, Vol. 35 No. 7, pp. 569-82. WTTC (2010): Travel & Tourism Economic Impact Executive Summary, World Travel & Tourism Council, London, available at: www.wttc.org/bin/pdf/original_pdf_file/2010_exec_summary_final.pdf Consultado el 14 de Diciembre de 2010. YU, H. y LITTRELL, M.A. (2003): “Product and process orientations to tourism shopping”, Journal of Travel Research, Vol. 42 No. 2, pp. 140-50.